Remember getting invited to a friend’s pool on a hot summer day. A day so hot death seemed like a good escape. You didn’t have a pool and you got so excited you thought you’d barf. Remember jumping in that pool, slicking your hair back and then slowly sinking back down in the water? You sucked in a mouthful of water, slowly rose from the water and spit the water out in a cool continuous stream? You felt like a Hollywood star blowing smoke on the unwashed riff-raff. Sheer bliss. That’s what eating the steamed dumplings from Champion Foods in Fountain Valley tastes like. There’s almost nothing to them. Just some steam, some flour, some pork, and whatever you want to drizzle on them. Go ahead lay on the raft. I hear his mom making lemonade in the kitchen. 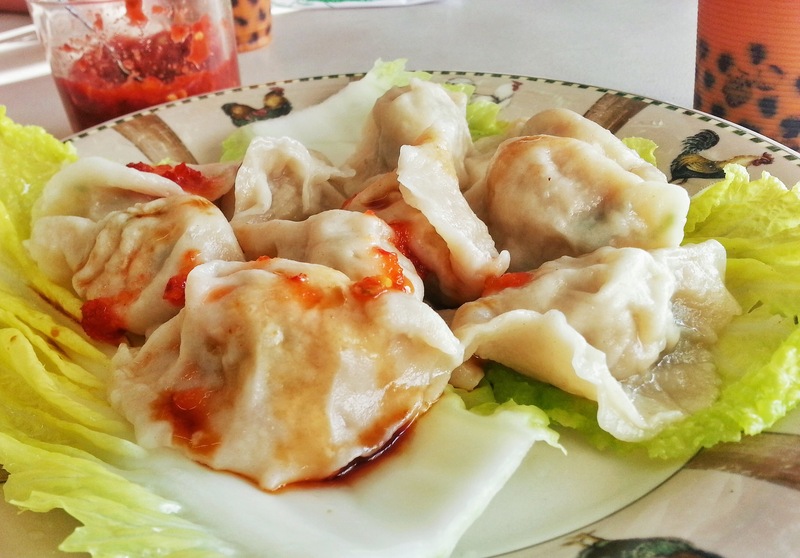 Posted in Chinese, Dinner, Dumplings, Pork, SteamedTagged California, Chinese, Dumplings, Fountain Valley, Pork, Southern California, Steamed DumplingsBookmark the permalink.